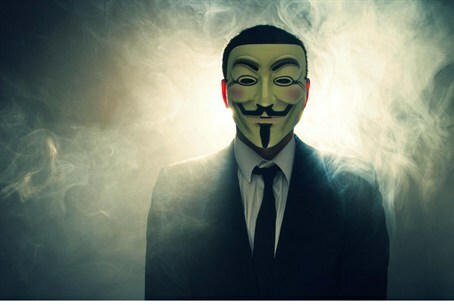 One year after previous wave of cyberattacks, 'Anonymous Arab' threatens to do it again. An Arab branch of the international hackers' movement Anonymous is threatening to mount a large scale cyberattack on Israeli government websites on April 7. A similar attack took place last year on April 7. Israeli government web sites came under heavy attack on that day, but the hackers failed to bring down any Israeli sites, the Foreign Ministry said on April 7, 2013. A Ministry spokesperson said that users had been unable to access its site for several seconds Sunday afternoon. The situation was corrected, and all Israeli government sites were running as usual. According to the Ministry, Israeli experts had successfully fought back the attacks, with the cooperation of internet service providers. The hackers' group claimed at the time that 9,000 Israeli Facebook accounts were hacked, and that personal details of students from Haifa University were compromised, as were hundreds of passwords to Israeli email accounts. However, terrorism commentator Yoni Alpher said that the damage to government and security-related websites had been minor: sites were slowed down or hacked for short periods of time, he explained, and the data that was compromised had not been significant. One of the primary targets of the attack was Larger than Life, an NGO for children with cancer. "The website of Larger than Life has been under attack from pro-Palestinian hackers for a week," Larger than Life wrote on its Facebook page several days after the attack began, "and every day they take down our site and plant different content – flags, a skull, symbols and all sorts of hate-related things." "It is too bad that this is happening, of all places, to a website for an organization whose purpose is one of love, and assistance to every cancer stricken child under treatment in Israel, without differentiating on the basis of religion, race or nationality."